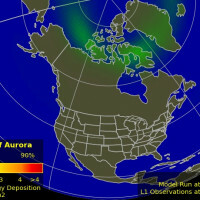 A stream of solar wind flowing from the indicated coronal hole should reach Earth on or about Sept. 3rd. Credit: SDO/AIA. 156 YEARS AGO, A GEOMAGNETIC MEGA-STORM: On Sept. 2nd, a billion-ton coronal mass ejection (CME) slammed into Earth's magnetic field. Campers in the Rocky Mountains woke up in the middle of the night, thinking that the glow they saw was sunrise. No, it was the Northern Lights. 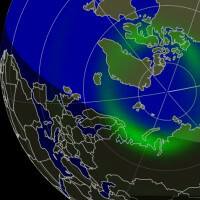 People in Cuba read their morning paper by the red illumination of aurora borealis. Earth was peppered by particles so energetic, they altered the chemistry of polar ice. 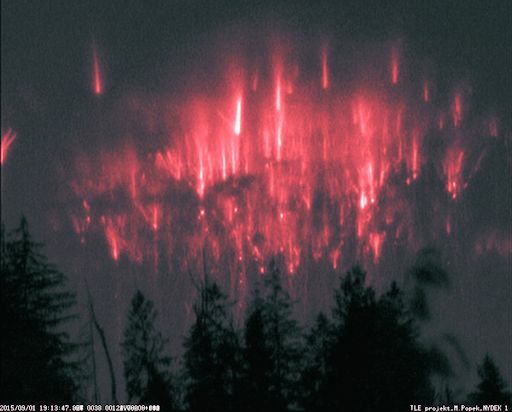 "I used a zoom lens for a close-up view of these sprites, which could just be seen over the treetops as they jumped upward from a distant storm," says Popek. 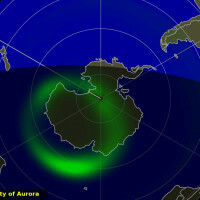 Inhabiting the upper reaches of Earth's atmosphere alongside noctilucent clouds, meteors, and some auroras, sprites are a true space weather phenomenon. 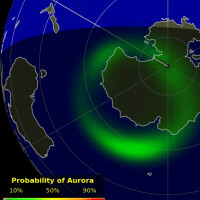 Some researchers believe they are linked to cosmic rays: subatomic particles from deep space striking the top of Earth's atmosphere produce secondary electrons that, in turn, could provide the spark that triggers sprites. Although sprites have been seen for at least a century, most scientists did not believe they existed until after 1989 when sprites were photographed by cameras onboard the space shuttle. Now "sprite chasers" regularly photograph the upward bolts from their own homes. Give it a try. "This was no accident," says Legault. "Using Calsky to predict the circumstances of the transit, I positioned my telescope 1 mile north of the central transit line so that the ISS would pass directly between me and the prominence." 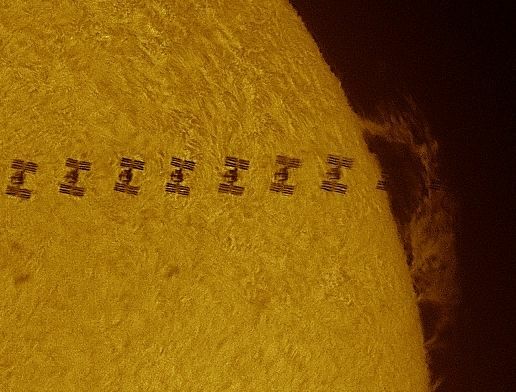 His pinpoint preparations worked, and he captured more than 30 video frames of the ISS zooming across the face of the sun. The complete crossing may be seen on Youtube. Solar observers are paying extra attention to prominences this week because that is almost the only thing to see. With only a few small sunspots dotting the solar disk, the face of the sun is nearly featureless. Plumes of plasma rising over the sun's limb are the photo-op du jour--even better when a spaceship joins the show. 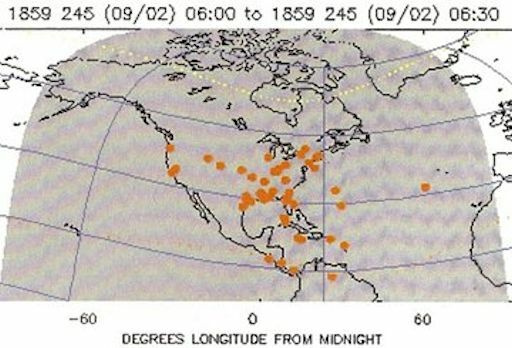 On Sep. 2, 2015, the network reported 11 fireballs. On September 2, 2015 there were potentially hazardous asteroids.